use your targeted keywords in that title. write unique page title and do not copy of page title of another blog(website). Use Words Like HOW, WHAT, WHEN, WHERE, BEST GOOD, REVIEW, ULTIMATE, ETC. Make Page Title look Awesome and Simple to users. Your page title should always be strongly relevant to your content. meta description Should contain 1-2 sentence or 140-160 characteristics. include your keywords in different ways to meta description. the entire article on your page should be explained in just 2 sentences With targeted keywords. avoid making Duplicate Meta Description. Meta Description Should be meaningful and descriptive. use H1,H2,H3,H4,H5,H6 Tags in Your Articles. In Your Blog, Every Article or individual Webpage should At least Contain H1, H2, H3 tags. If You Want Better Ranking Results In Search engine You Should use Targeted Keywords On H1, H2, H3 Tags. Every web page or article should contain only one H1 Tag. use Your Targeted Keywords In First 100 Words. use at least minimum 2000 Words in your article or webpage. use LSI keywords Related To Your Keywords On The Web page. your content should be unique and meaningful. you should use unique and relevant images in Every article or web blog. Before Uploading Images On Your Article, You Must Reduce The File Size, Because It may decrease your website loading speed. Add Best Title Tag to your Image, use Your Targeted Keyword In Image Title Tag. Use ALT tag on your image because alt tag is varied important SEO, And ALT Stands For Alternate Tag. Use JPEG, PNG, GIF etc. These Types Of image Files. Use Vary Descriptive Captions Below The Images. Create An Images Sitemap For Better Ranking On Google. keyword density is needed but stuffing should be avoided. 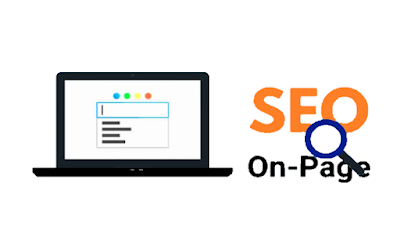 use Your Targeted Keywords in First 100 Words,1 Keyword In Title Tag,1 Each Keyword In H1 And H2 tags,1 or 2 Keywords In Meta Description,10% Keywords In Entire Content. Finally, only 15%-20% Of Keywords Should Be on Entire Webpage Or Article. you should always include one target keyword on URL of that page. using 50-60 characteristics in URL structure is better. XML sitemap helps to index your website on google so creating and submitting sitemap on google webmaster is needed. https://www.xml-sitemaps.com/ simply visit this link and put your website URL then it will generate your sitemap. next, go to google webmaster tools and submit.